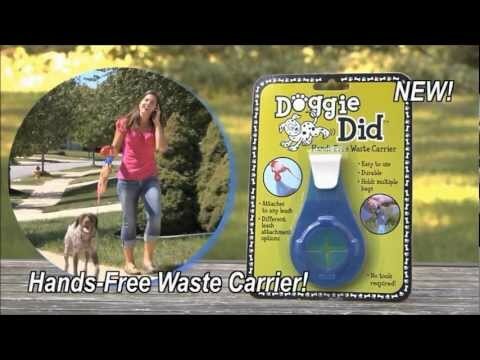 The Doggie Did is a hands free waste carrier… Ever wish you had a third hand while your out walking your dog! One to hold the leash, one to answer your phone, and one to hold the bag of your dogs business? Well with the Doggie Did now you do! Simply attach the Doggie Did to any standard leash or retractable leash, and after you bag your dogs poop slip it through, tie a knot, and you’re ready to go. Your bag or multiple bags will hang from your leash for the rest of your walk. This is a must for any dog walker.